We love going over to Solva to buy fresh crabs and lobsters. Thank you Jono Jonathan for the tasty crabs we bought from Mrs Will the Fish last weekend. 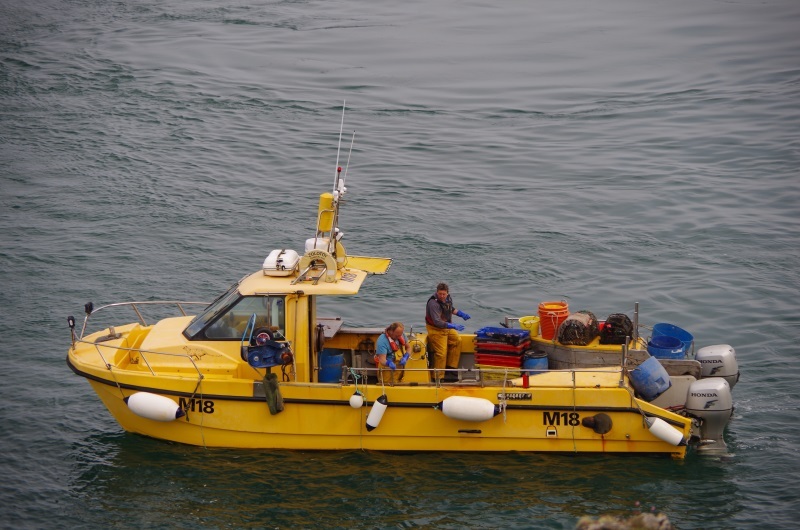 While out checking sheep on Treginnis headland, throughout the year, we see the yellow fishing boat. Hard work whatever the weather. Great to see you from Treginnis headland. You can’t get fresher, Jono’s boat docks in Solva harbour.